The 2019 Harley-Davidson® Fat Bob® motorcycles are for sale at Latus Motors Harley-Davidson®. Our local motorcycle dealership is conveniently located near Vancouver, Washington. If you are shopping for a 2019 Softail®, take a look at a new Softail® with inverted forks, 2-1-2 exhaust system, and dual disc front brakes. Our Harley-Davidson® sales associates will tell you more about the modern features, Harley-Davidson® financing options, and iconic styling cues. Take the quick ride to our local Harley-Davidson® dealership near Hillsboro, Oregon and experience all this new bike has to offer. The Milwaukee-Eight® V-Twin delivers a soul-satisfying rumble, smooth-running engine, and crisp throttle response. The Fat Bob® boasts inverted forks for enhanced handling, steering input, and braking. The Fat Bob® maintains a firm stance in the canyons and one the highways with its fat tires. 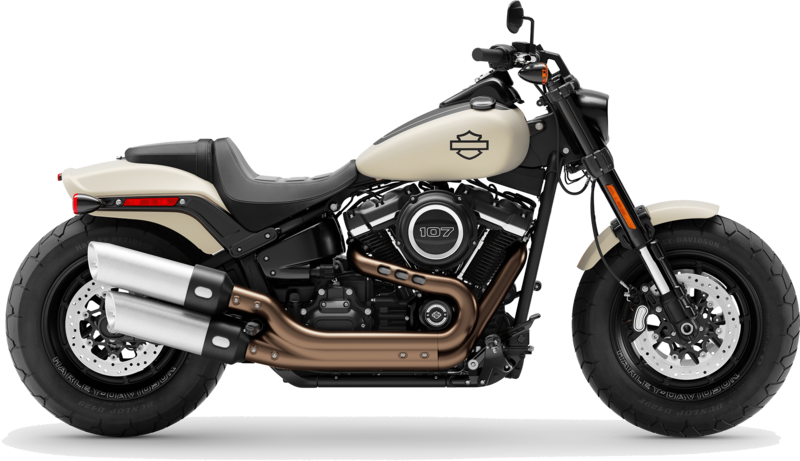 Styling elements on the 2019 Fat Bob® include a custom contrast finish on the upswept exhaust, cast wheels, and LED lighting. The race-style fork technology is where form meets function. In addition to delivering plenty of attitude, the inverted fork design improves braking, steering input, and handling thanks to the single-cartridge technology. To see and be seen, the single LED headlight is a bold design that keeps all eyes on you. But don't worry. The Milwaukee-Eigh® V-Twin billowing through the neighborhood will tell everybody that you're coming. For a hands-on experience, meet the Fat Bob® in person and discover these systems for yourself. After you get a feel for your new ride, be sure to sign up for one of our monthly rides with Latus. 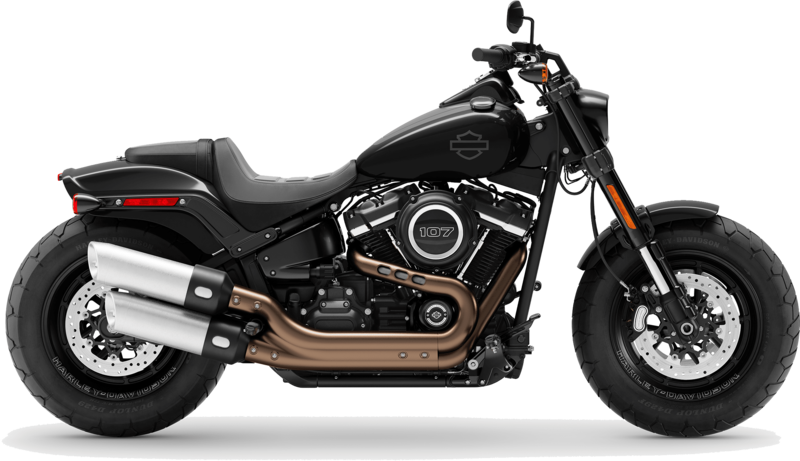 Shop Latus Motors Harley-Davidson® to experience the 2019 Fat Bob® for yourself. Dual bullet headlamps. Blacked out finishes. Rais a ruckus just by rolling into town. Seat Height, Laden 7 27.7 in.